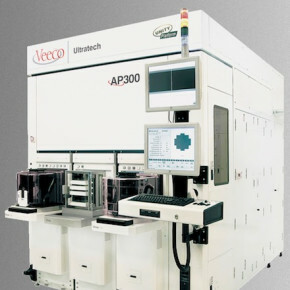 The AP200/300 family of lithography systems is built on Veeco’s customizable Unity Platform™, delivering superior overlay, resolution and side wall profile performance and enabling highly-automated and cost- effective manufacturing. These systems are particularly well suited for copper pillar, fan-out, through-silicon via (TSV) and silicon interposer applications. In addition, the platform has numerous application-specific product features to enable next-generation packaging techniques, such as Veeco’s award-winning dual-side alignment (DSA) system, utilized around the world in volume production.